The collapse of 49-year-old UK airline Monarch this morning poses a number of questions. These go beyond the immediate consequences for passengers who have already started returning home thanks to the sterling emergency efforts of the UK Civil Aviation Authority. The CAA tweeted this morning that the first flight to bring home Monarch passengers landed at Gatwick at around 08.00h UK time with 165 passengers on board, returning from Ibiza. A second, again from Ibiza, landed at Birmingham around 40 minutes later. With emergency rescue under way in a typically British fashion, attention can turn to what will happen over the next few hours, days and weeks. Firstly, there is the business issue to consider. What caused the collapse? Was it simply poor management? Was it the economics of Monarch's industry? Was it Monarch-specific? If the latter, what lessons might its former competitors learn? Should they be be alarmed? Monarch CEO Andrew Swaffield cites the knock-on impact of terrorism. “The root cause is the closure, due to terrorism, of Sharm-El-Sheikh and Tunisia and the decimation of Turkey,” he said in a letter to his staff of around 2,750. This has especially affected Spain and Portugal which is 80% of Monarch's business, he added. Since 2015 the airline has seen yields collapse by a quarter, causing the loss of £160m less revenue, he said. Blair Nimmo, part of the KPMG team appointed administrators to Monarch Airlines Limited this morning, said mounting cost pressures and increasingly competitive market conditions in Europe's short-haul market contributed to a sustained period of trading losses. Secondly, there is the abrupt change in the industry landscape to consider. Coming so soon after the collapse of Alitalia in May and Air Berlin in mid-August, what does it mean for the likes of easyJet, Ryanair and Wizzair? We asked easyJet, Ryanair and Wizzair to comment but they have yet to reply other than in the form of a generic automated response. The shares of the first two named rose in early trading in London by 3.62% and 3.01% respectively. How does the removal of competition affect their operating model? Will it mean firmer pricing? Will it mean more flights? Will it mean more profit in the short-, medium- and long-term future? Will they pick up planes? Will they pick up new routes? Will they hire Monarch staff? Thirdly, there is the Mexican stand-off between Ryanair and its pilots. As a number of pilots will be coming to the jobs market, it is legitimate to speculate on whether the situation will change. To the lay person it looks very much as if the management's hand has just been strengthened. Finally, there is the passenger issue, involving what both The Guardian and The Independent websites describe as the UK's biggest peacetime repatriation to bring home 110,000 passengers. To give credit where it is due - ignoring for a moment the deafening howls of anguish and anger emanating from stranded passengers and an estimated 300,000 future passengers - the situation is as clear as might be expected. Andrew Haines, chief executive of the CAA, said: "We know that Monarch's decision to stop trading will be very distressing for all of its customers and employees. "This is the biggest UK airline ever to cease trading, so the Government has asked the CAA to support Monarch customers currently abroad to get back to the UK at the end of their holiday at no extra cost to them. 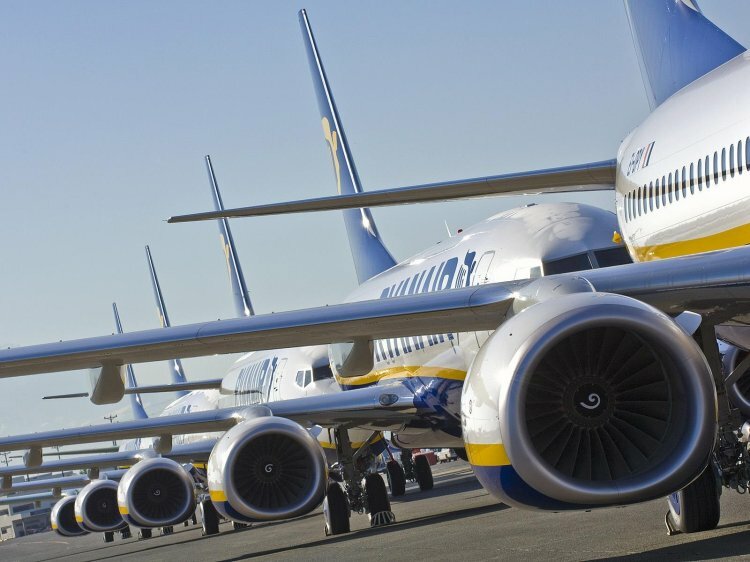 "We are putting together, at very short notice and for a period of two weeks, what is effectively one of the UK's largest airlines to manage this task. The scale and challenge of this operation means that some disruption is inevitable. We ask customers to bear with us as we work around the clock to bring everyone home. "We urge people affected by the company's collapse to check our dedicated website monarch.caa.co.uk for advice and information on flights back to the UK. It also gives information to those passengers that have future bookings with Monarch but are yet to leave the UK. This is of little comfort to Emma Dell, a hard-working businesswoman from Stony Stratford, just north of Milton Keynes. “We've been trying to get flights since 6.50am,” she laments as she surveys the wreckage of her dream wedding. It would take a heart of stone not to be moved by such a story from just one of the estimated 300,000 thwarted passengers.